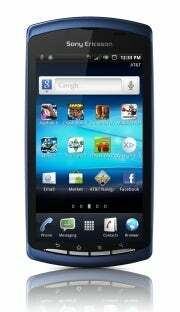 AT&T is getting some gamer love with the arrival of Sony Ericsson Xperia Play 4G for the sweet price of $50 with a two-year contract. The gaming phone will arrive on AT&T's HSPA+ network on September 18. The Xperia Play made its US debut back in May on Verizon for $200 with a two-year contract. The AT&T version of the Xperia Play has a couple of exclusives including another color option (stealth blue) and some in-box accessories. The Play comes with the Sony Ericsson Multimedia Dock DK300, which converts the phone's screen to a large clock display, and MC100 music cable for connecting the phone to external speakers. It also comes loaded with seven games including Crash Bandicoot, Madden NFL, Dungeon Defenders and more. You also have access to over 150 games optimized for the Play. The Xperia Play has PSP-like controllers with your familiar Left and Right shoulder buttons (at the top of the phone).Slide out the phone, and you’ll see a four-way directional pad, the iconic letter keys (like the PlayStation controllers), and two oblong touchpads for your thumbs. The Play runs Android Gingerbread (2.3.3). I appreciate the fact that Sony Ericsson kept the user interface fairly clean. With the exception of a game launcher (which only pops up when you slide-out the game controls), you get the standard Android 2.3 interface. We reviewed the Xperia Play for Verizon and while we loved the variety of games and the novelty of using a game controller on a phone, we found that the rest of the phone was lacking. It doesn't have very much internal memory (only 400MB) and the camera took mediocre pictures. But if you're a gamer—and especially a PlayStation enthusiast—you'll get a kick out of the Play. For $50 plus the added accessories, it is a pretty great deal.